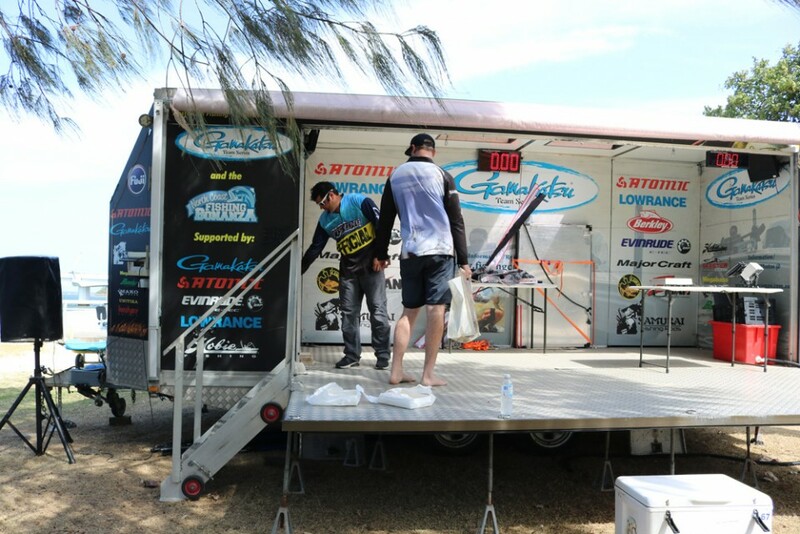 Please check back regularly for result updates. 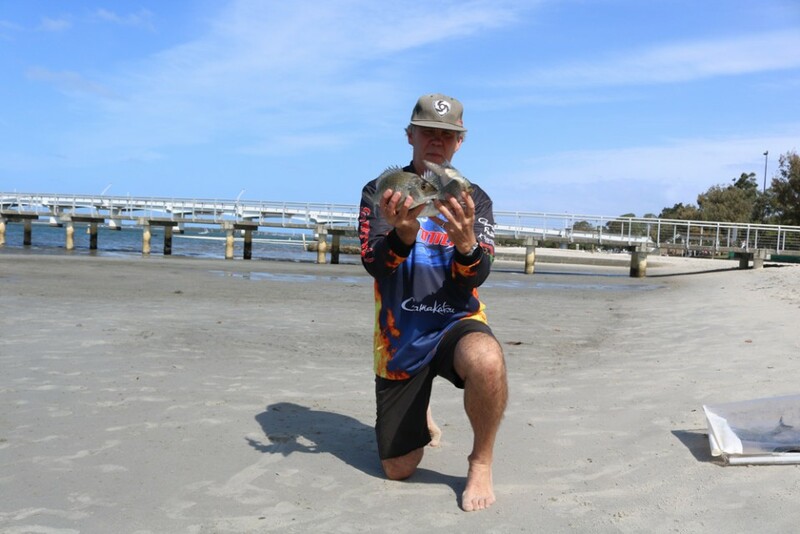 You can filter by a series or a year or both one series and one year, by selecting the filter buttons below. 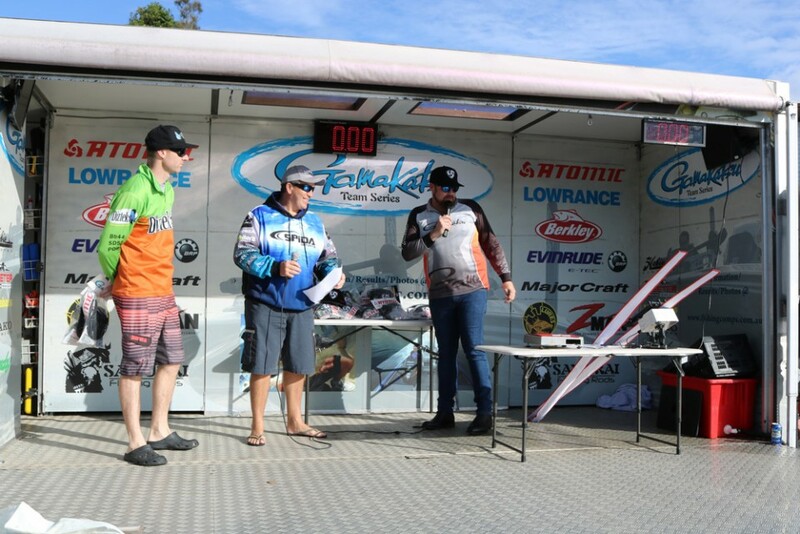 Rod O’Sullivan and Paul Langley Take out the SWR round with style! 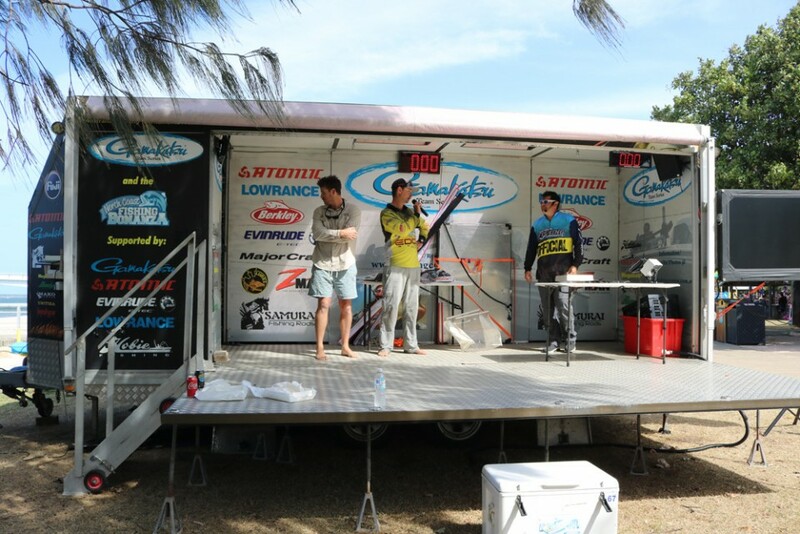 Gamakatsu Teams Series - Round 1 MID South West Rocks A fantastic weekend was had by all teams at the recent Gamakatsu Teams Series in South West Rocks. 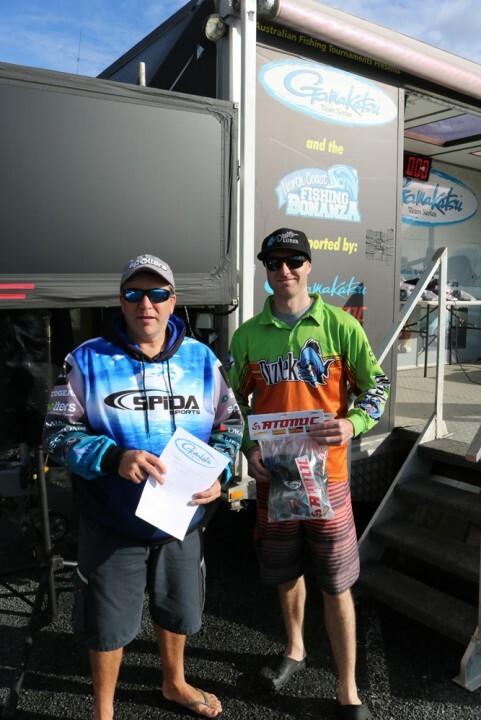 SWR is one of the nicest venues on the tour and has a great system that always produces fish. 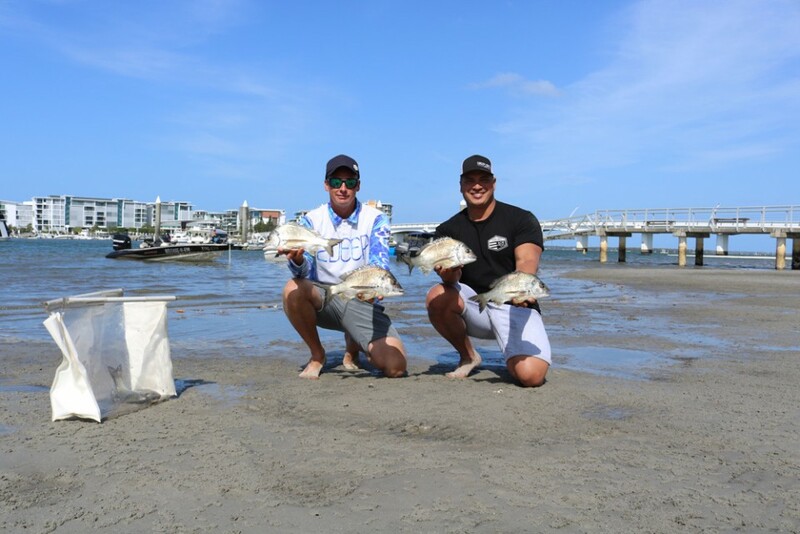 This round didn’t let us down with some fantastic bags coming and ultimately the event was taken out by Team Ecogear Yamatoyo/Taree. 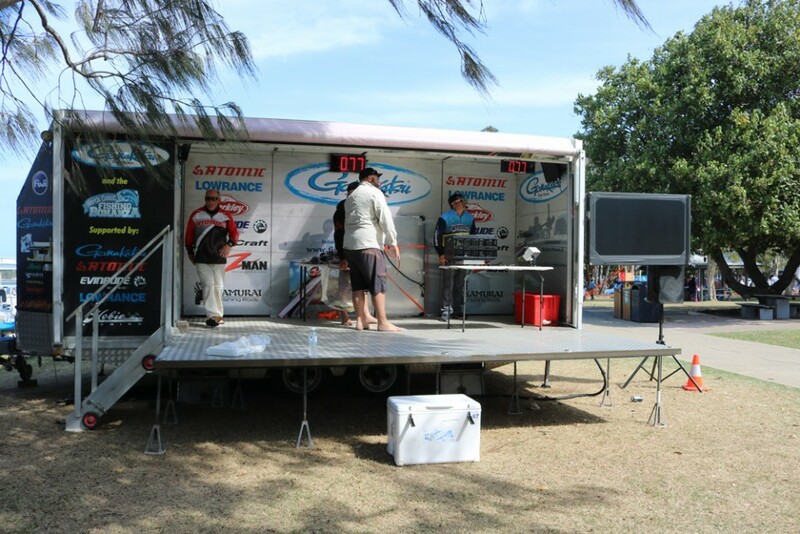 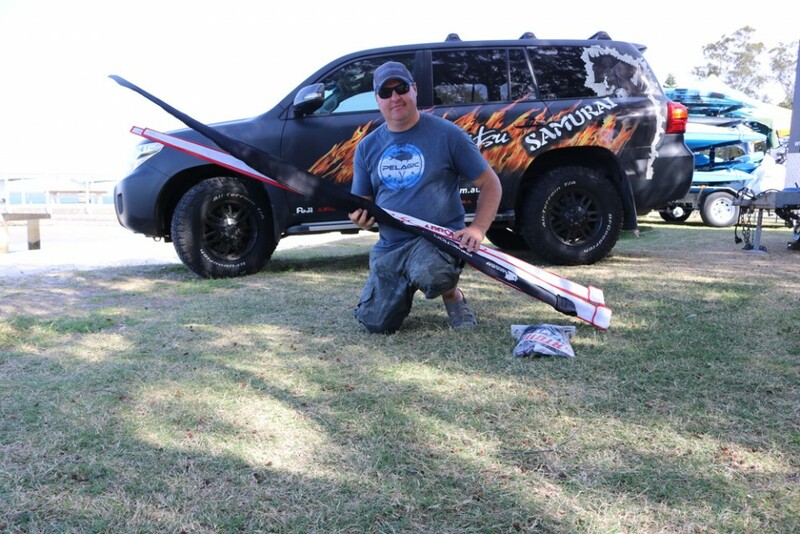 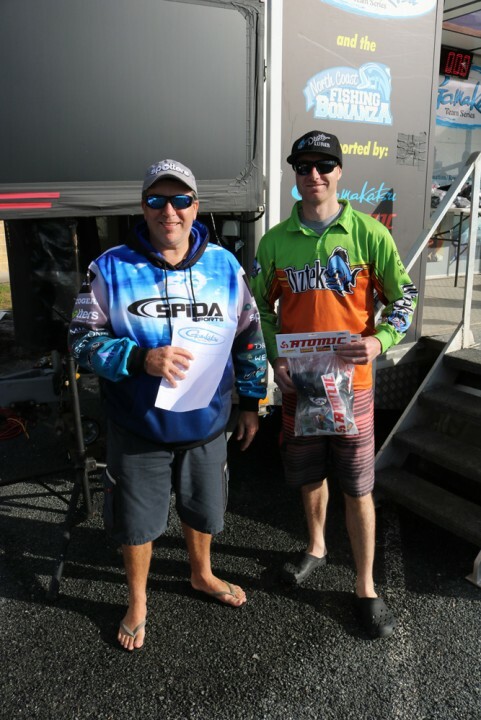 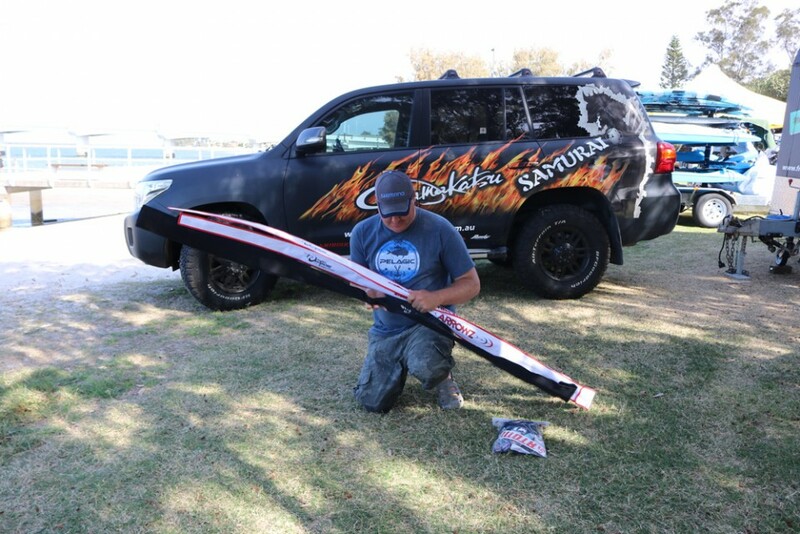 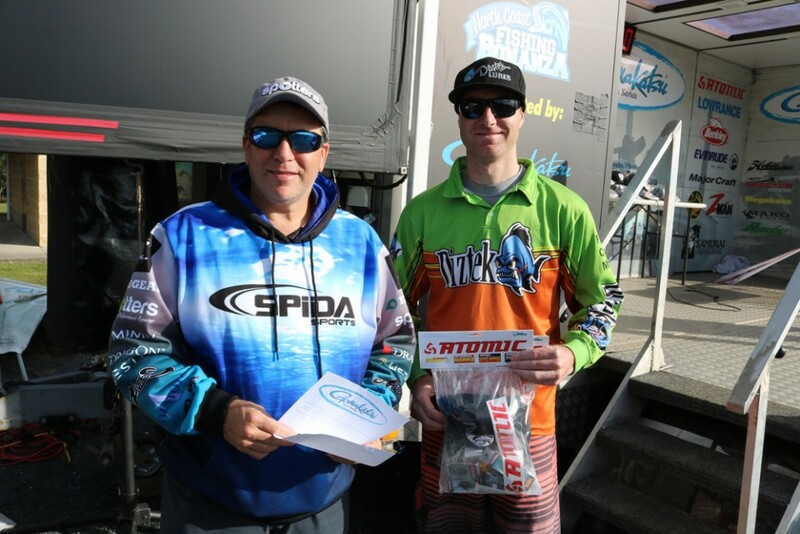 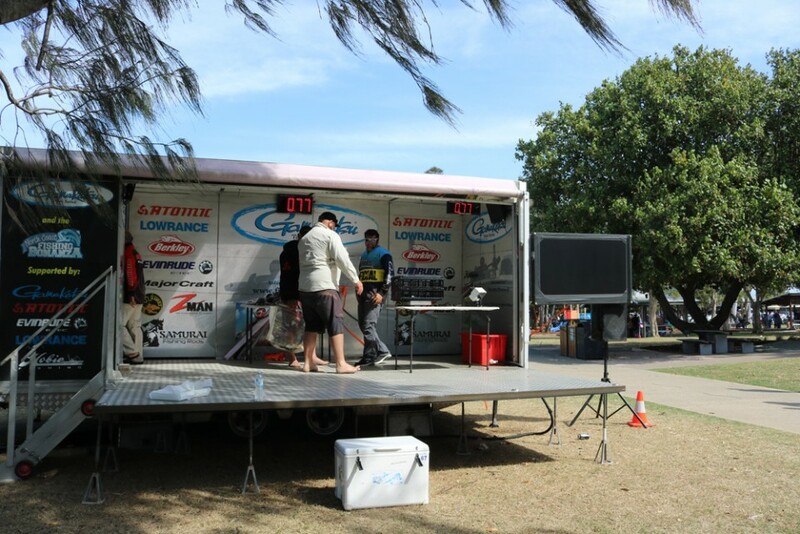 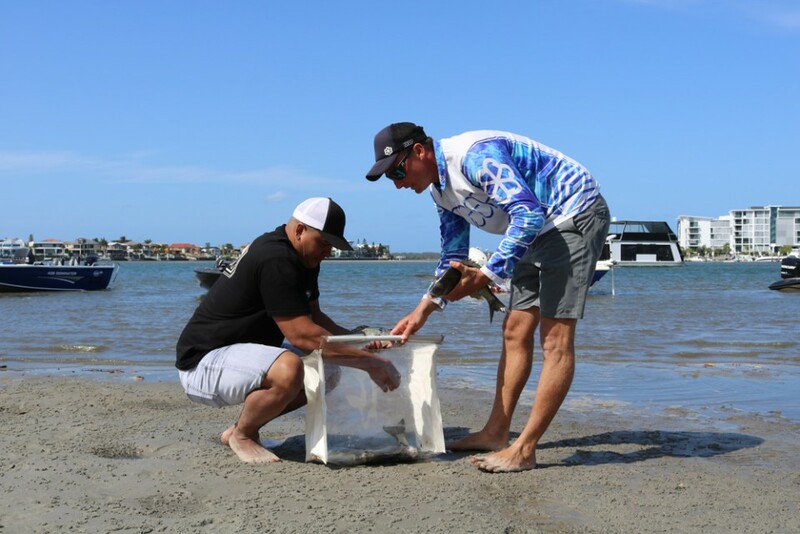 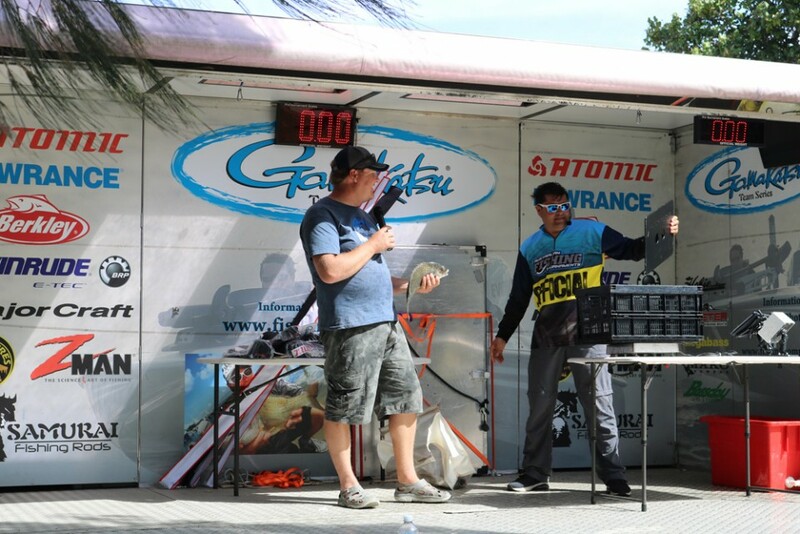 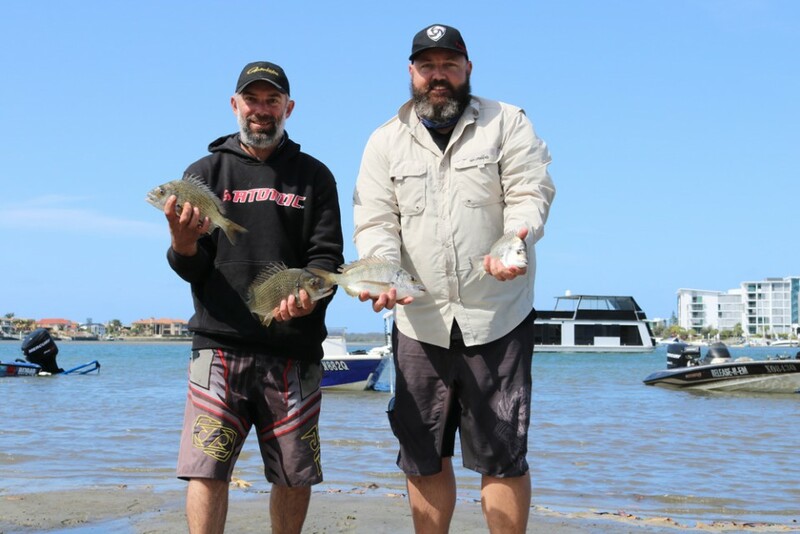 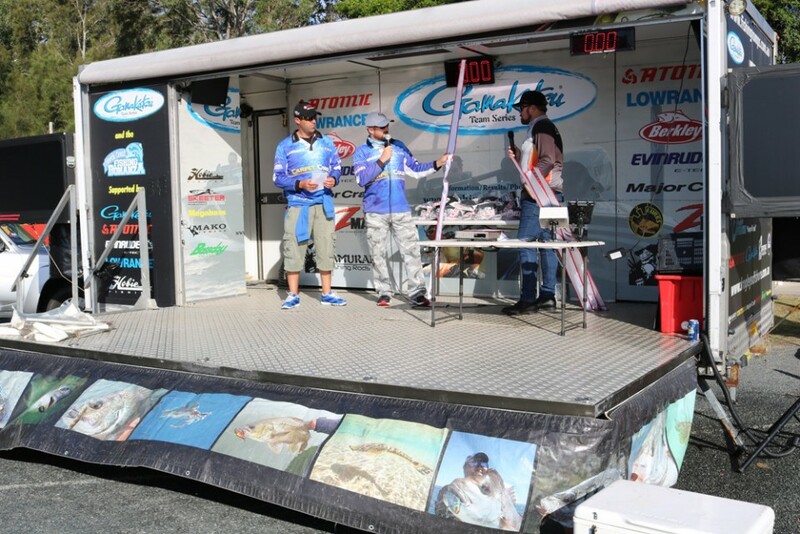 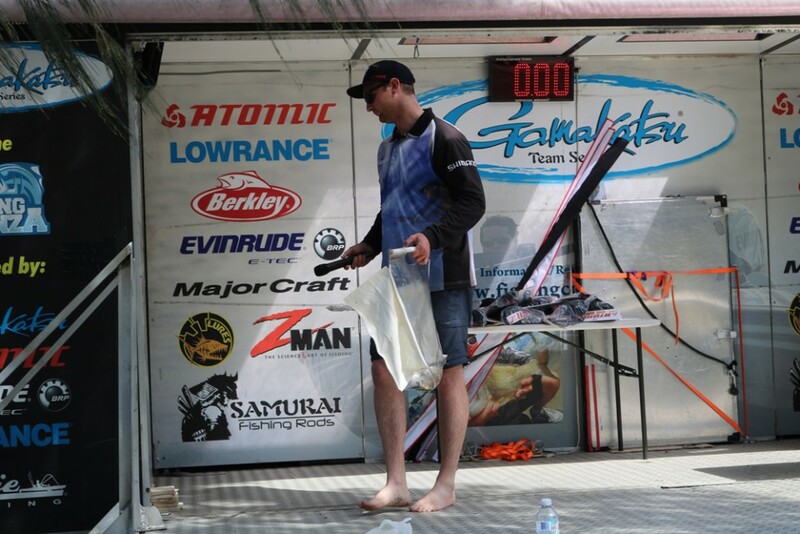 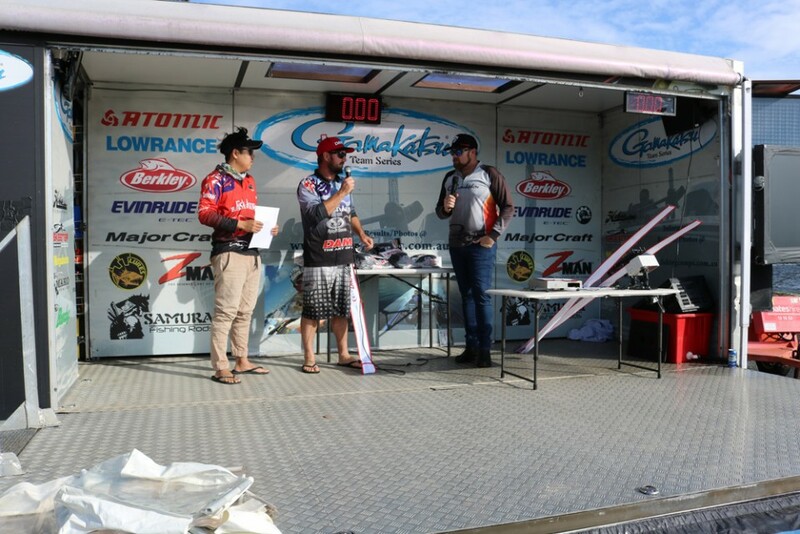 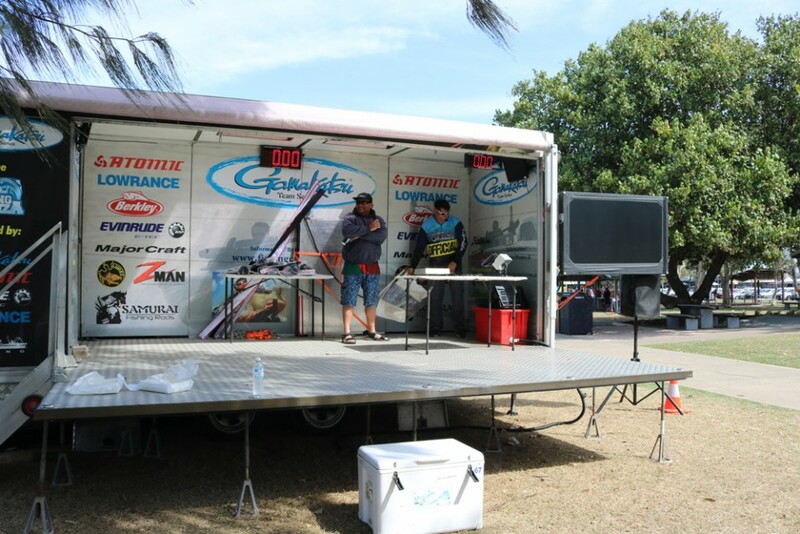 Rod O’Sullivan and Paul Langley bought their ‘A’ game to SWR subduing some of Australia’s best anglers to take the win. 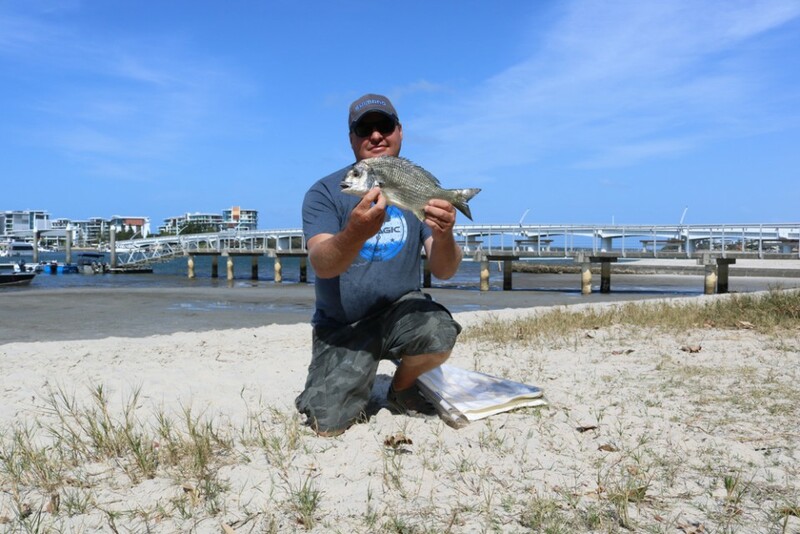 Using crab lures around bridge pylons Rod and Paul managed to put 4 fish in their bag reasonably quickly but struggled to get their 5th fish for quite a while. 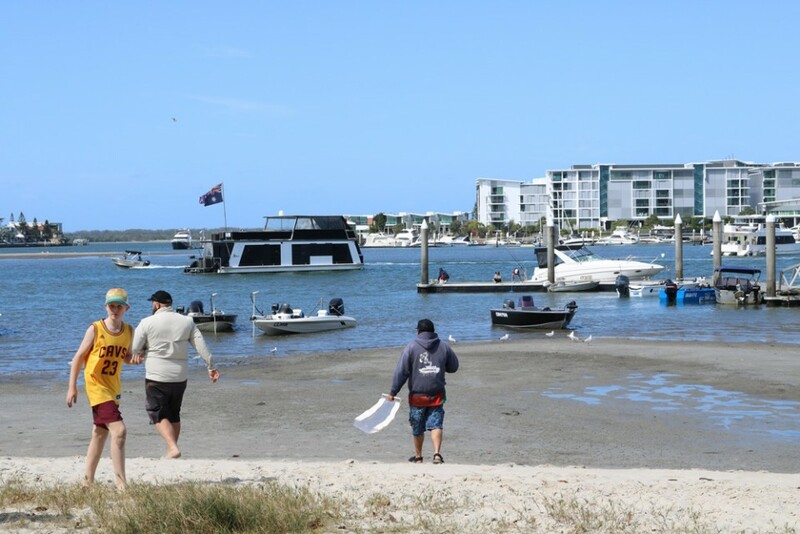 Moving spots down river to the wall wasn’t that good an idea as the wind was howling and making it impossible to fish. 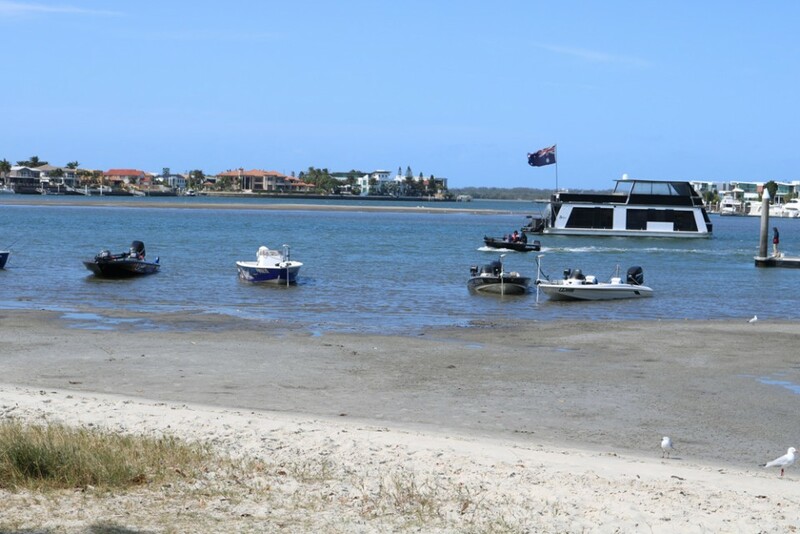 After sticking it out for a while they decided to move back up river back to their go to spot. 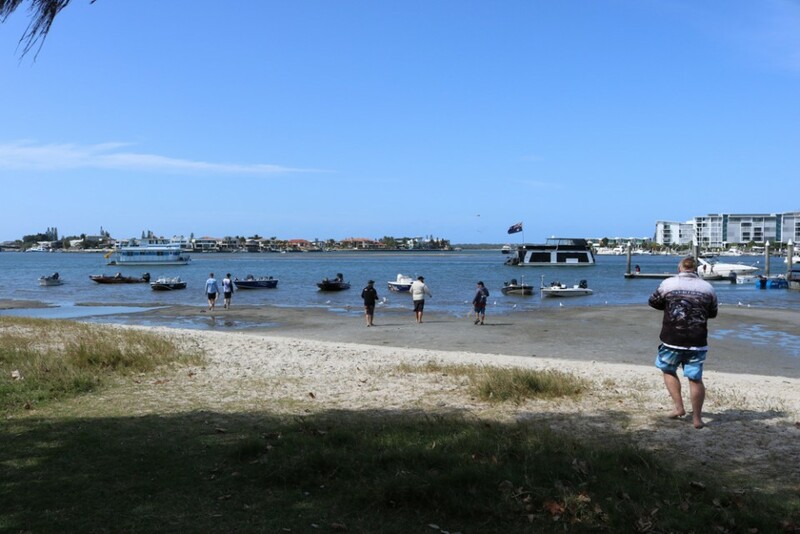 By the time they got to their ‘honey hole’ the tide had turned, making it wind against tide which created an eddy for them to sit in and fish the last hour or so of the comp. 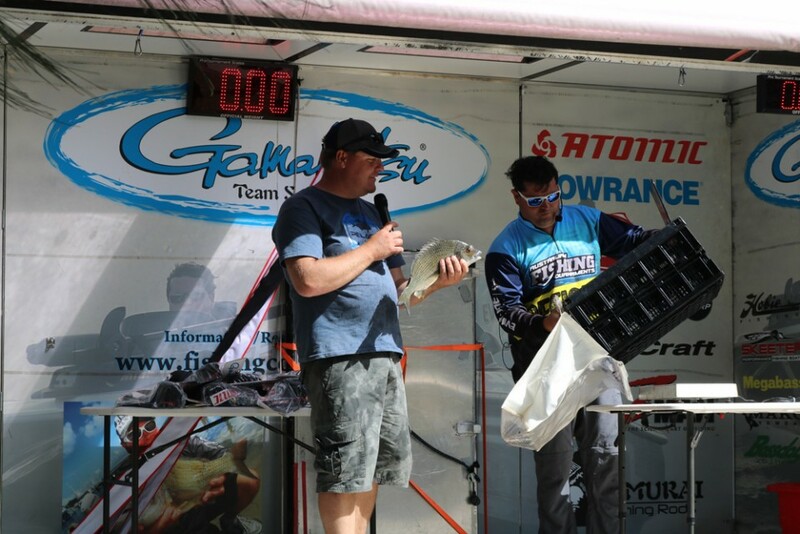 It turns out the tide change was all that was needed to turn the fish because in the last hour they managed to catch over 20 scorers and upgrade their bag to a tournament winning weight of 3.36 kilos. 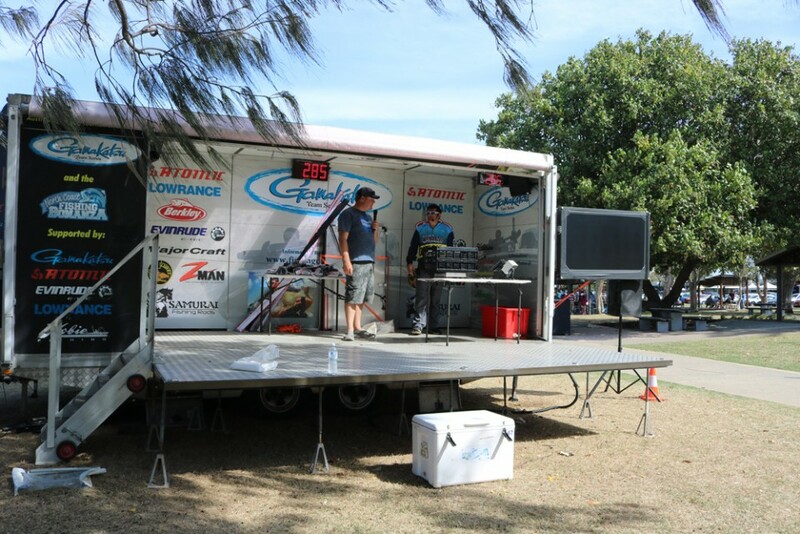 They would like to thank JML Trading, Spotters and Spida Clothing for their support. 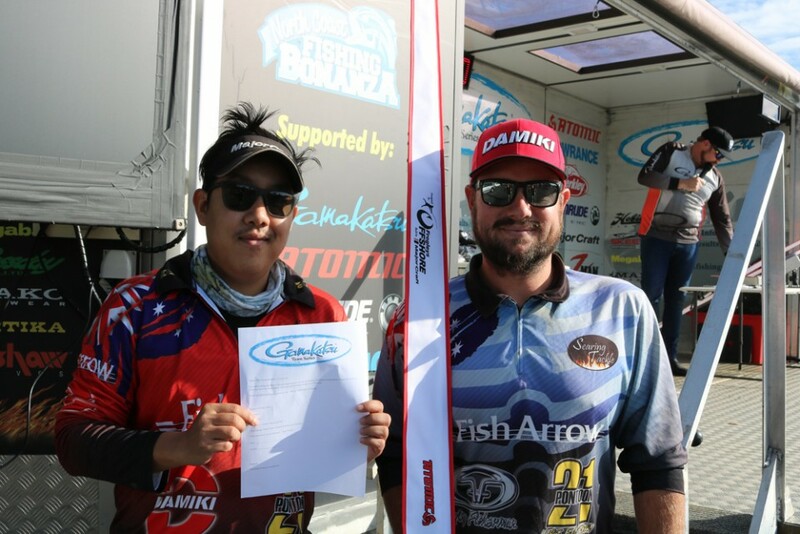 Finishing only 140 grams behind one of the gun teams of the series Pontoon 21 / Masterangler.com.au consisting of Denis Metzdorf and Khoi Pham. 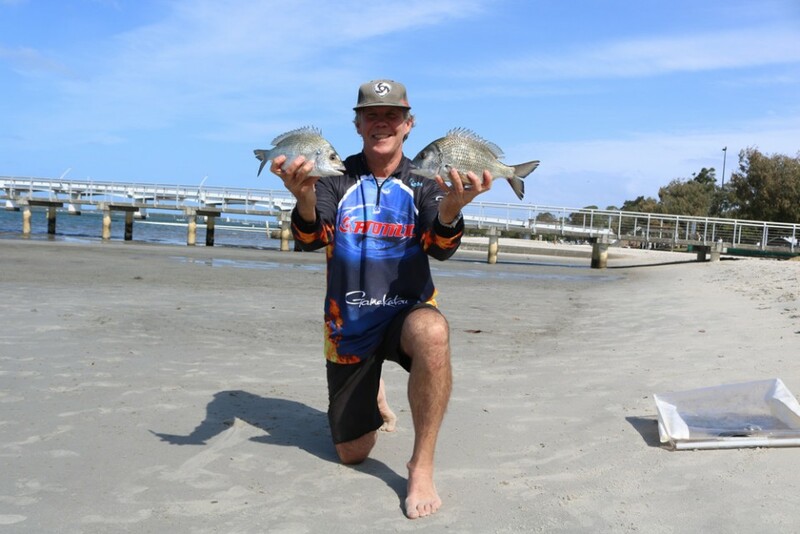 Focusing al of their fishing towards rocky structure and singling out little rocks that created small eddies for the fish to tuck into. 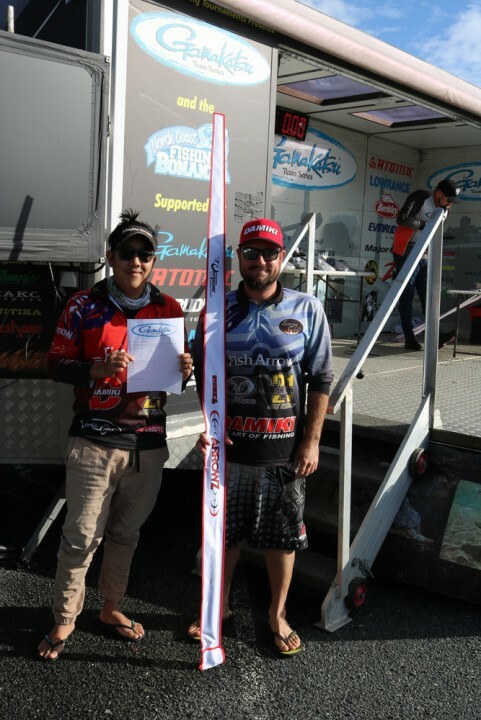 Both Denis and Khoi fished different line types with one using straight through fluorocarbon and the other fishing the more traditional braid to leader combination. 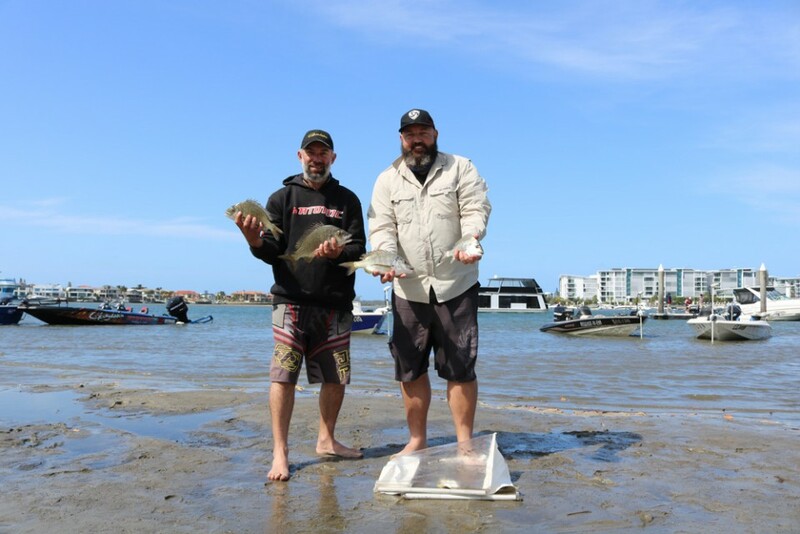 The biggest issue these guys had all day was keeping both Bass and Flathead off their lures. 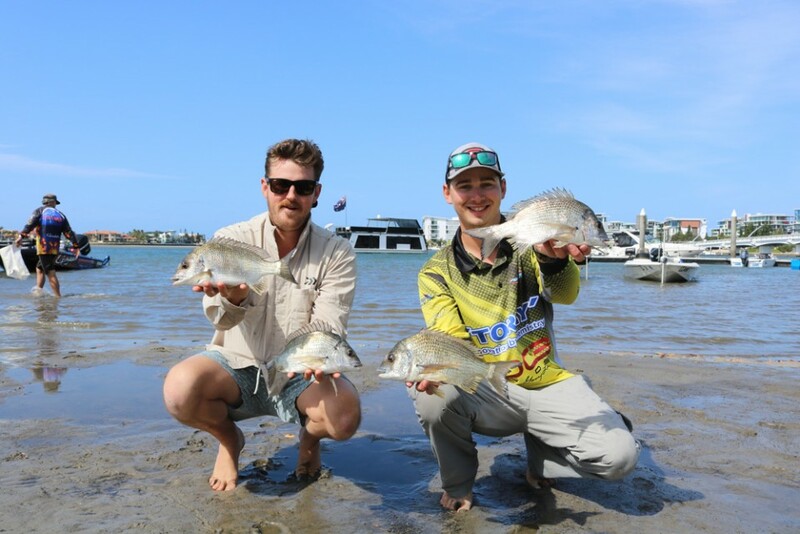 Their favourite retrieve technique was slow rolling and the fish were climbing all over it. 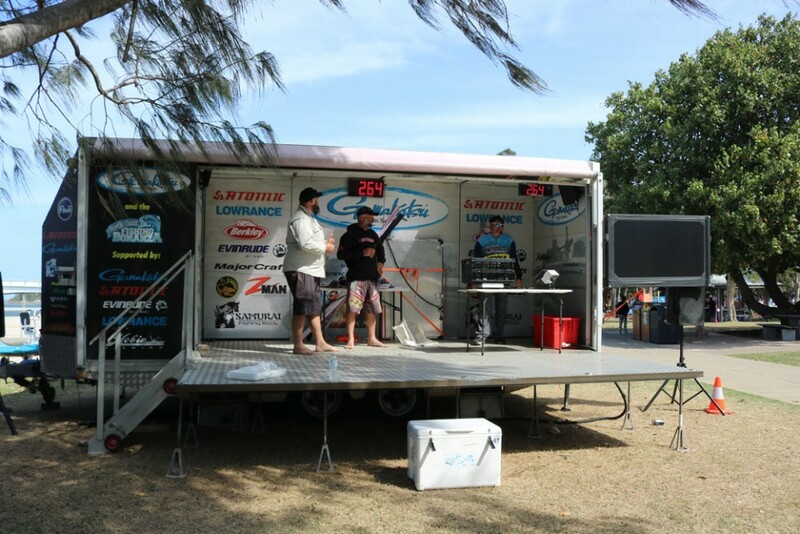 Congratulations to these boys with another great bag of 3.22 kgs. 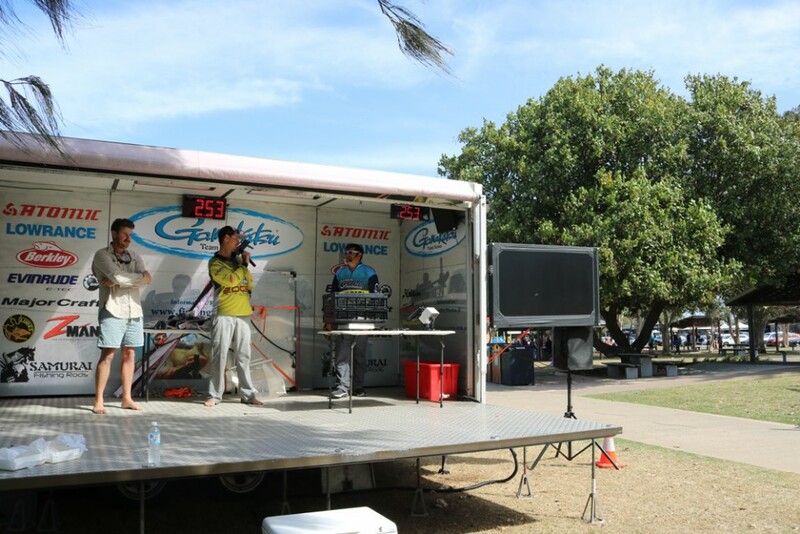 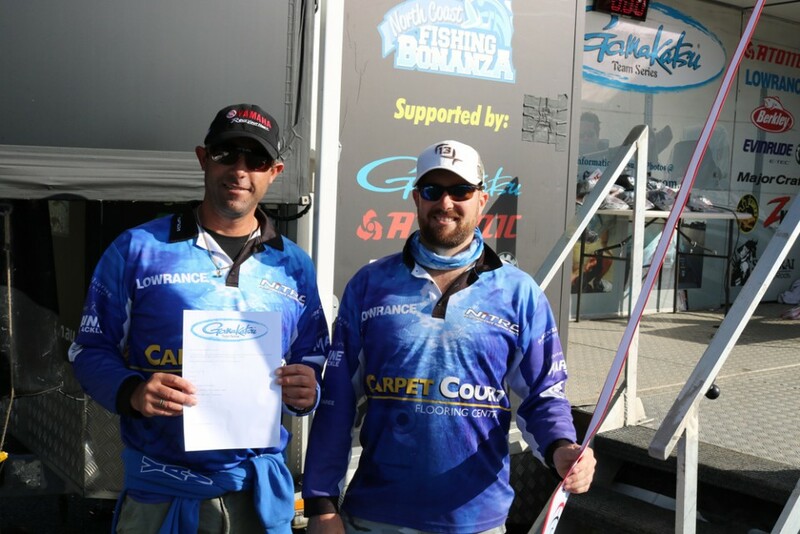 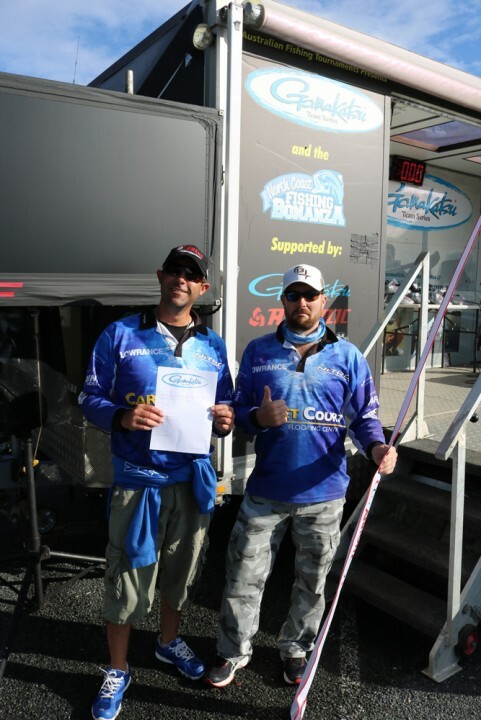 Rounding out the top three was team Carpet Court Crank Lures. 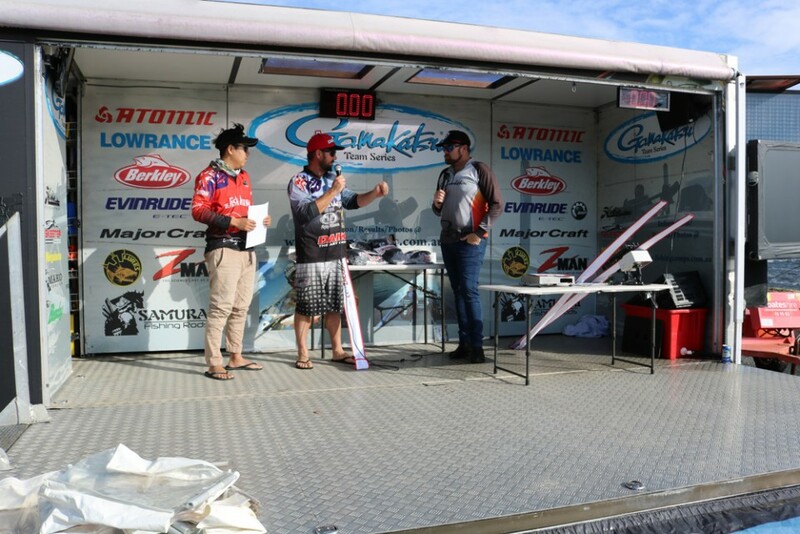 Mike “The Beard” Nelson and Grant “baby face” Manusu are no strangers to a payday at a GTS round and were more than happy with another pay. 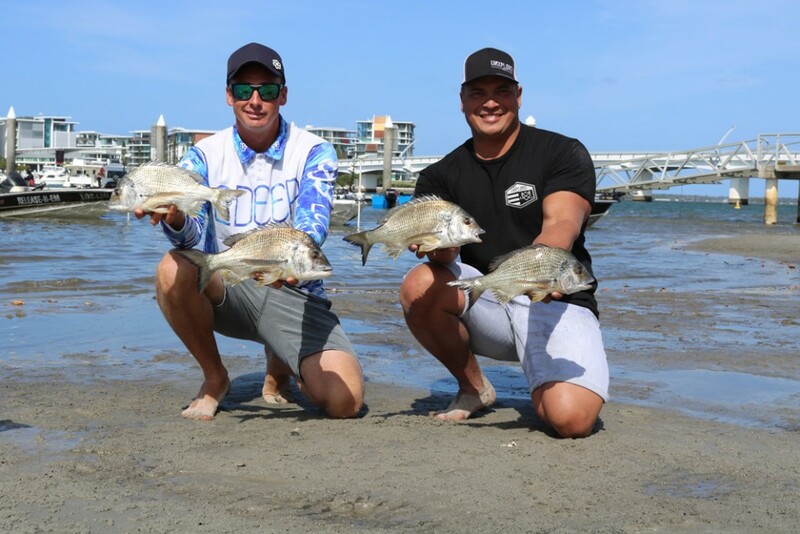 Sticking to what they know, they both cast parallel to the walls all morning using Cranka hard bodies and put their bag together with an early bite. 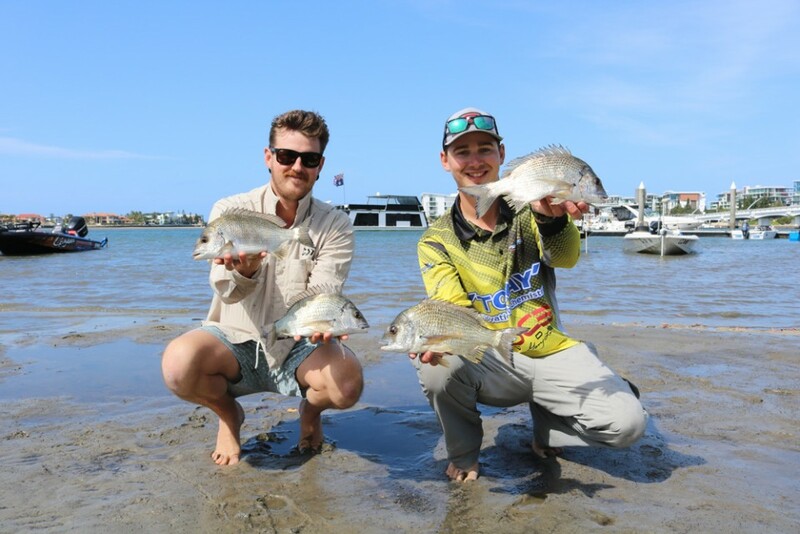 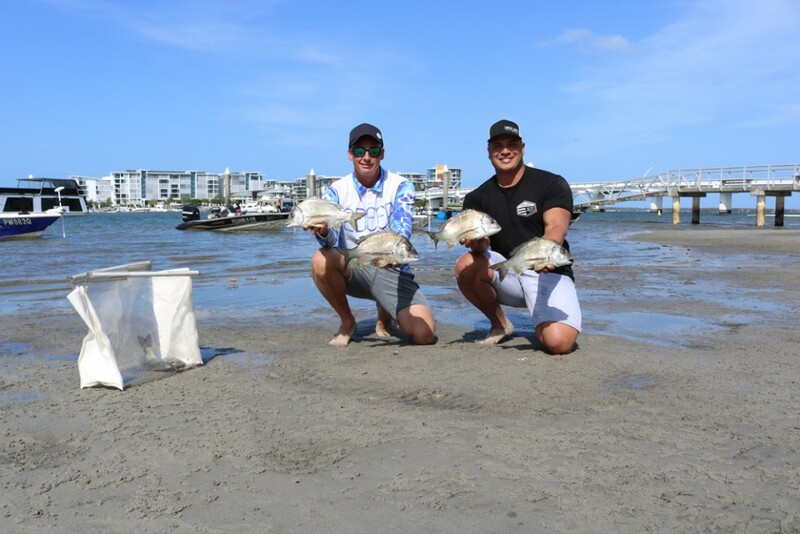 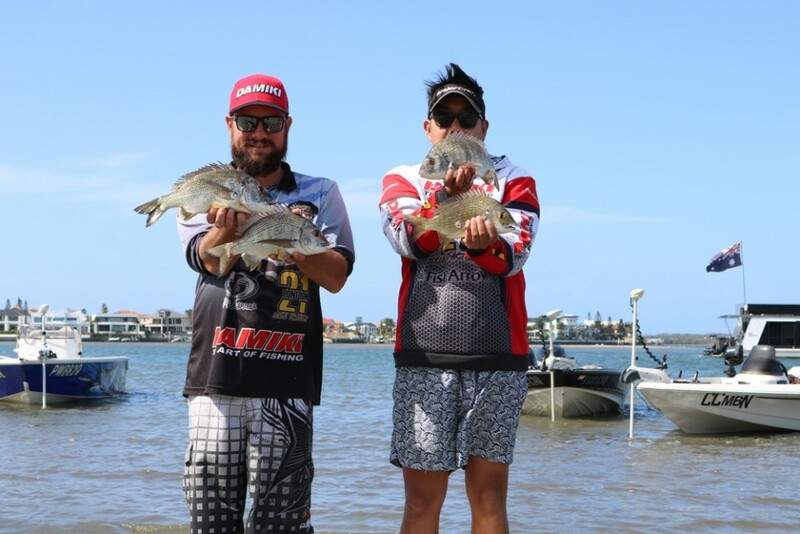 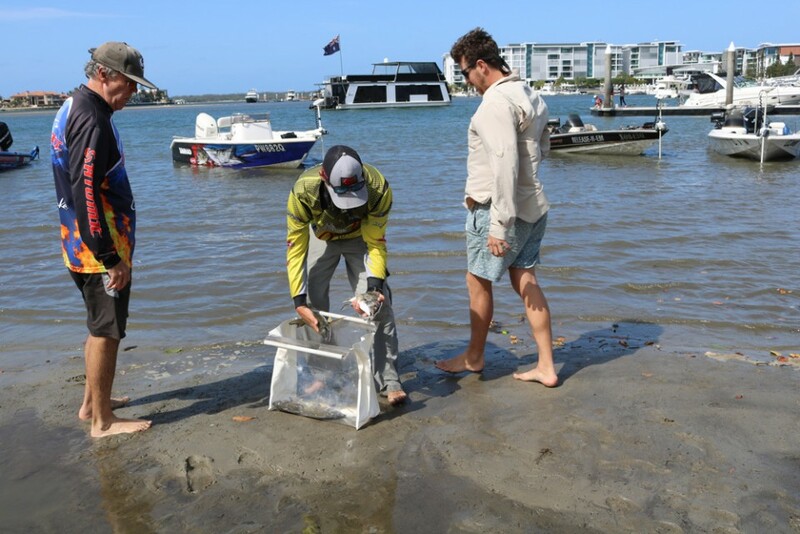 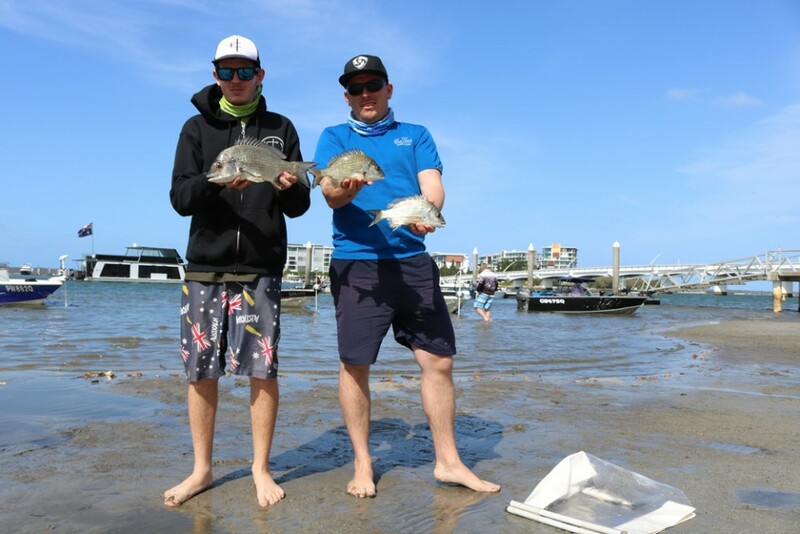 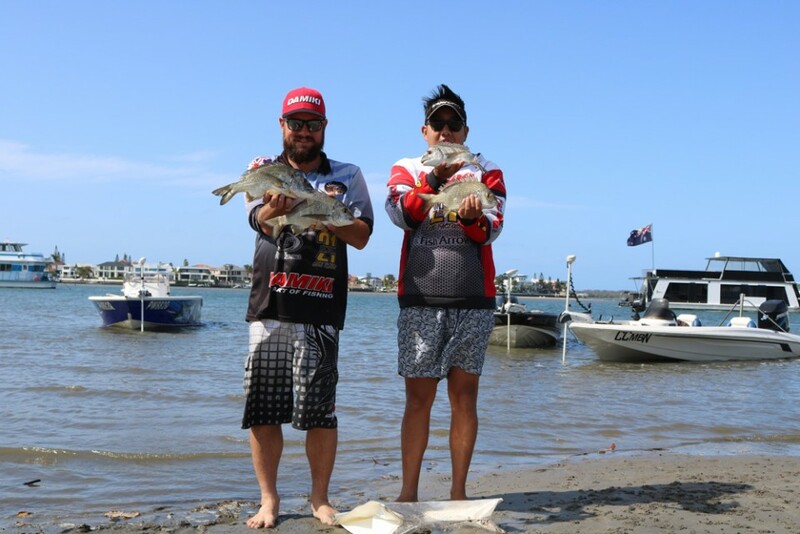 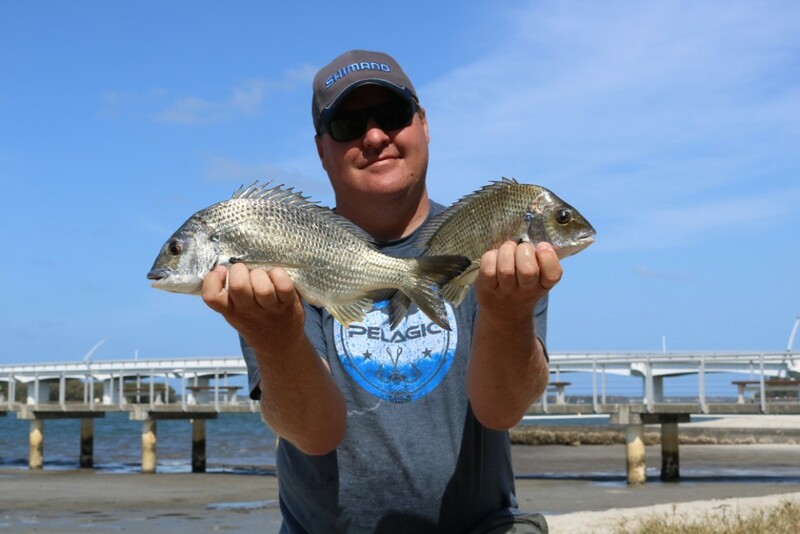 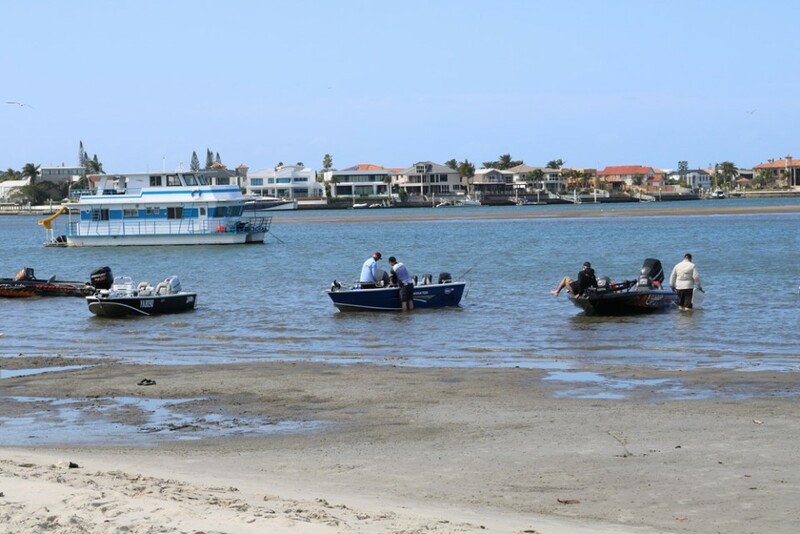 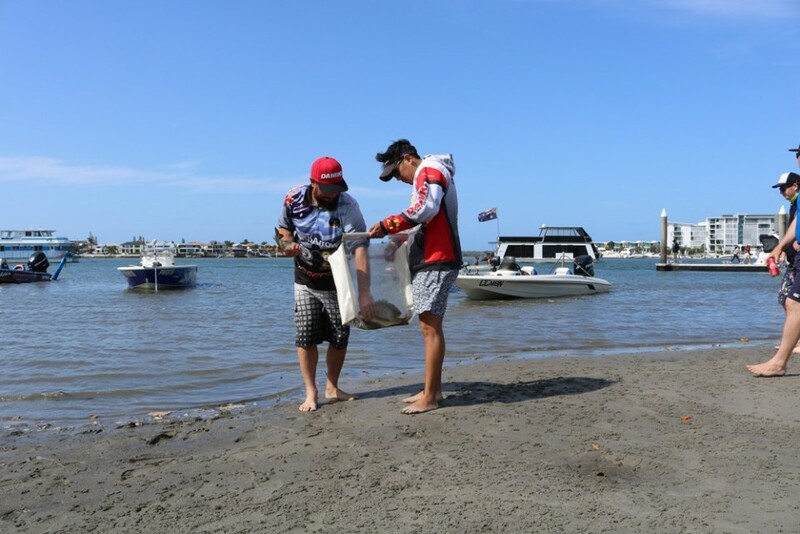 The bite tapered off severely throughout the day so the boys dug in and tried everything in their arsenal, switching between hardbodies and crabs all day they managed to upgrade their bag and put a great five fish limit of 3.08kgs. 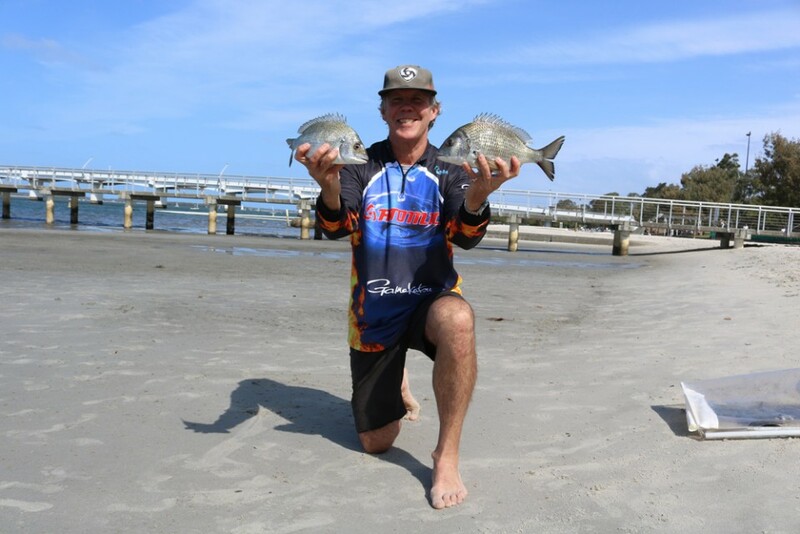 The tournaments big Bream accolades go to team Fishin comes first. 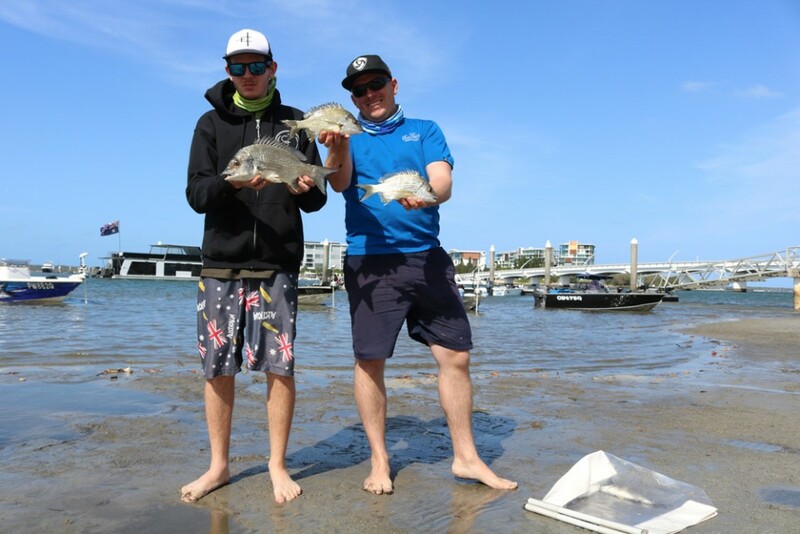 Leigh and Isaac managed a nice fish at 1.08kgs and a fourth-place payday for their troubles. 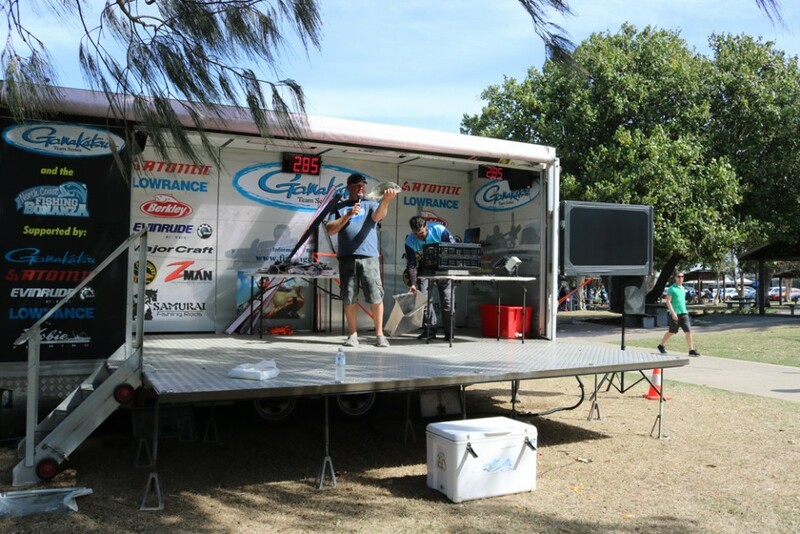 Special mention goes to team WASSAUP competing in their first GTS comp and putting together a great bag at 2.58kgs and a top ten (7th) finish, well done to Warren and Julie. 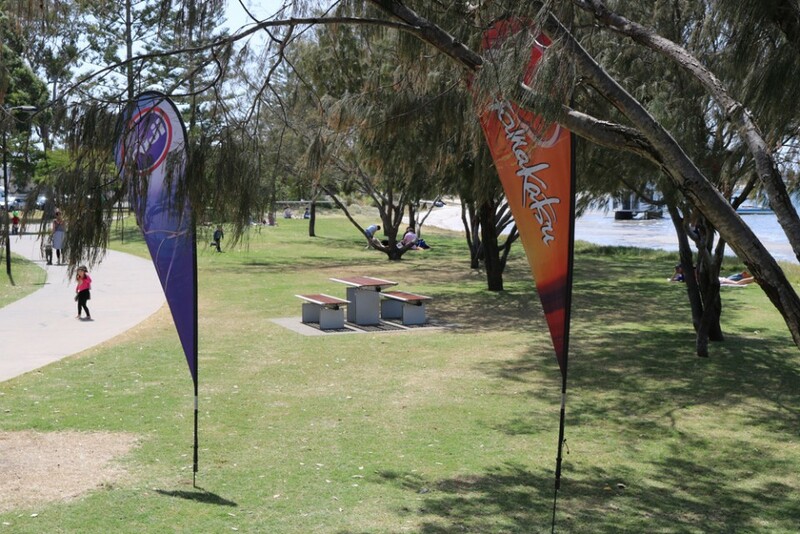 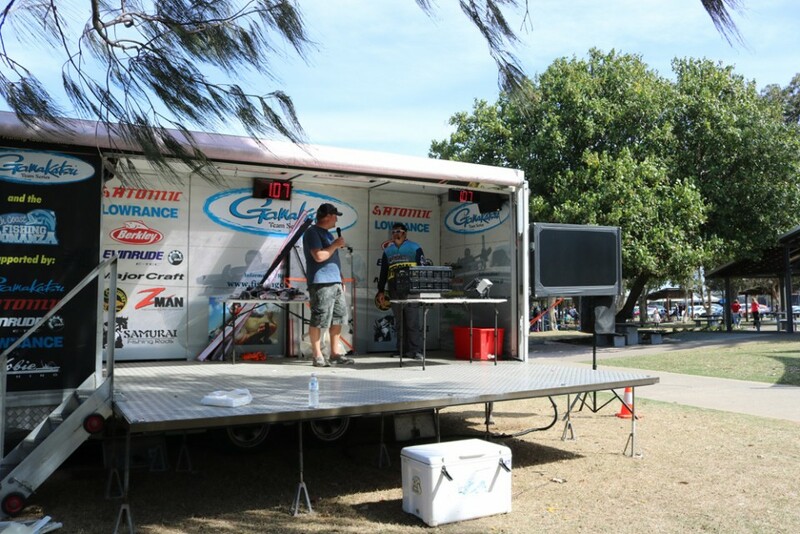 We look forward to seeing everyone at the next GTS round at the Gold Coast on the 17th September. 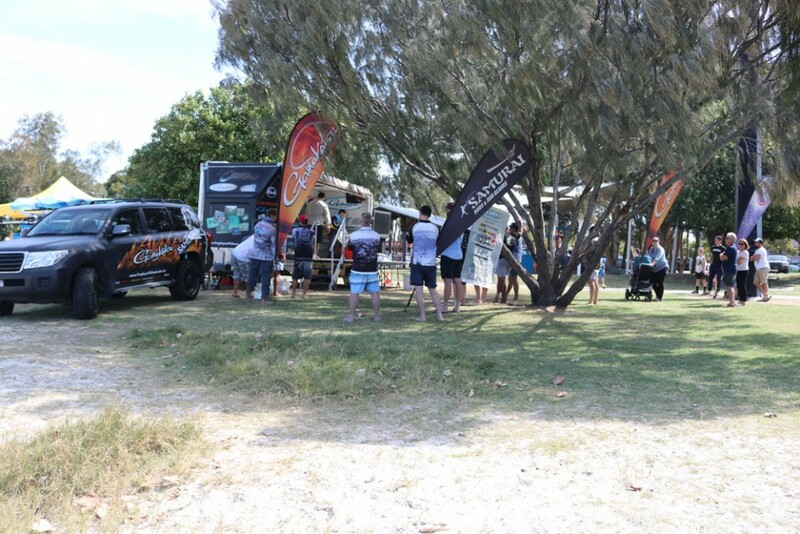 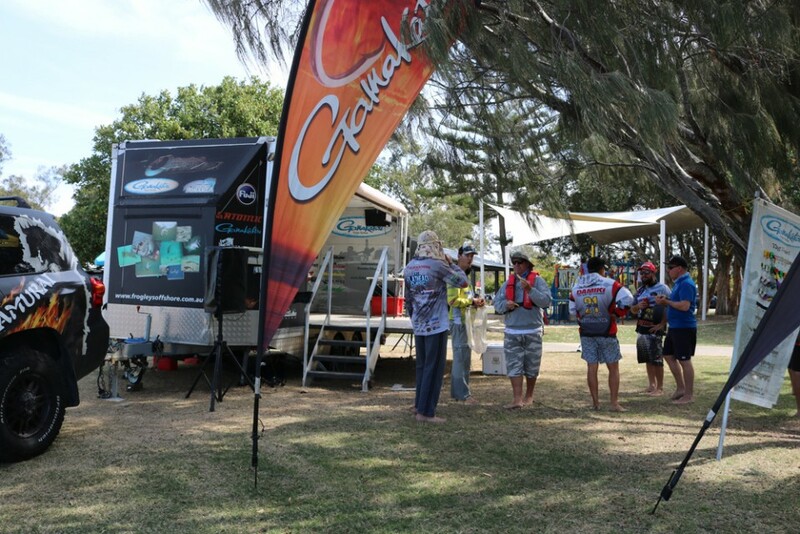 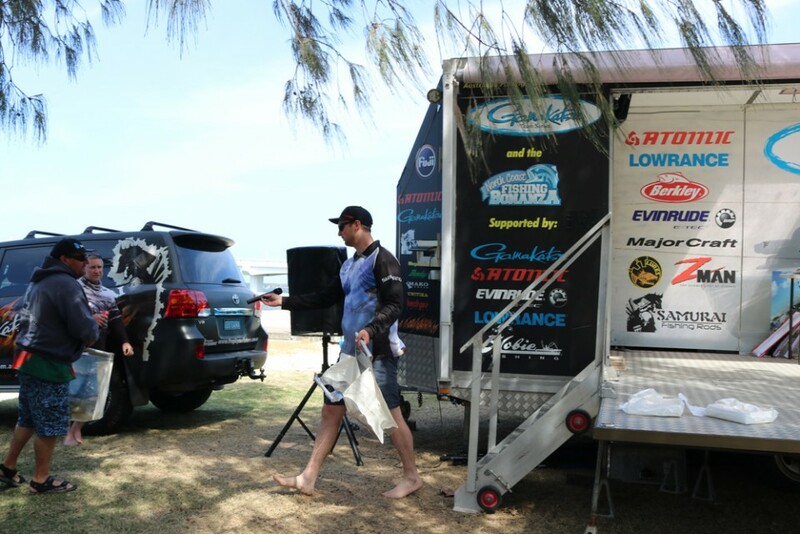 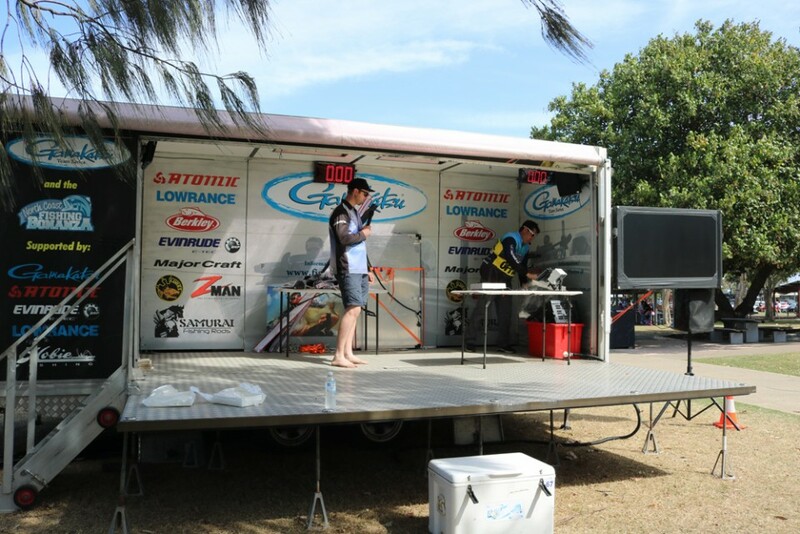 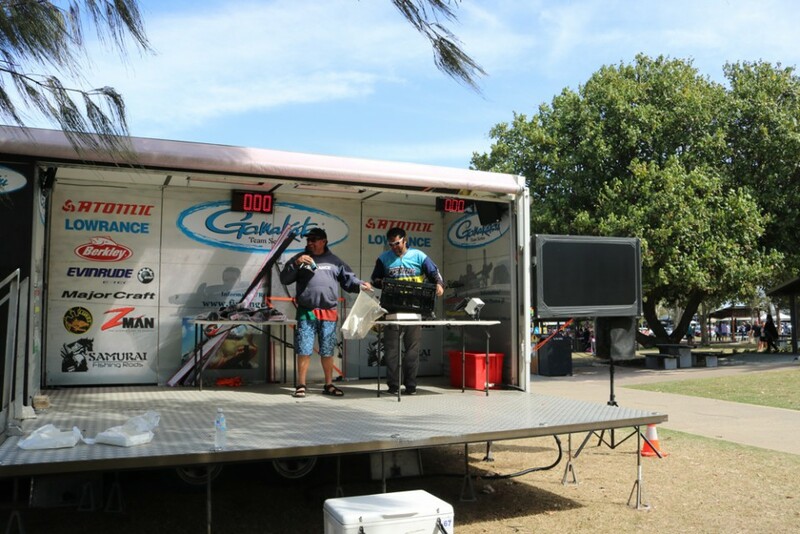 Remember to support the sponsors that support your passion when you are in store next and too keep your eyes on www.fishingcomps.com.au for the latest in tournament information.